We deliver... give us a call! Palo Mesa Pizza Makes You Happy! 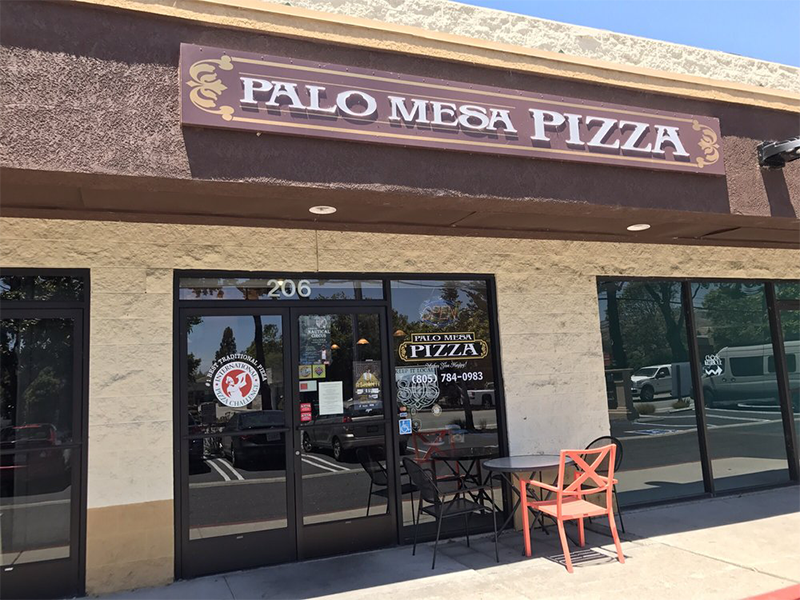 Welcome to Palo Mesa Pizza in Arroyo Grande! Dine-in, take-out or have delivered the best darn pizza in the Five Cities! Build your own or order from our menu of speciality pizzas that includes the Ken’s Favorite and the always popular Hot Hawaiian! We also serve great appetizers, delicious pasta, awesome calzones, killer sandwiches and yummy salads. 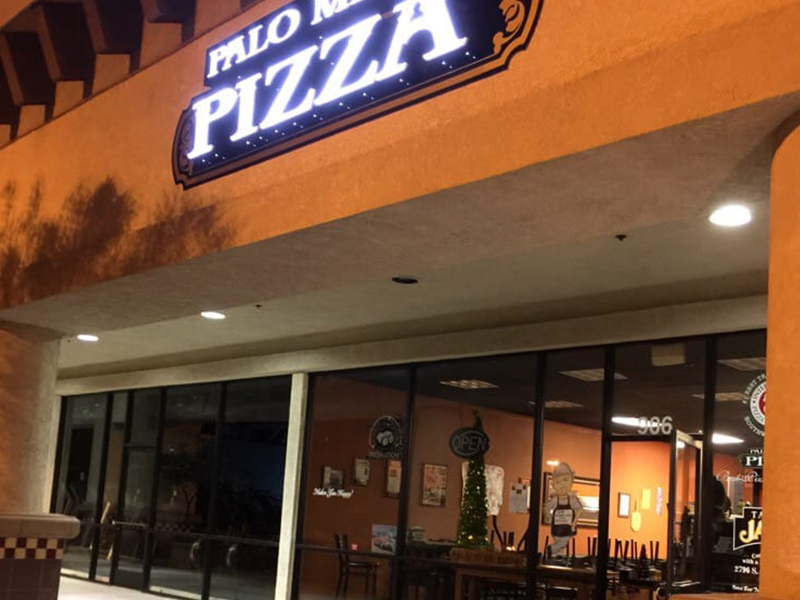 Palo Mesa Pizza is open from 11am to 9pm daily. Four Locations To Serve You Pizza! 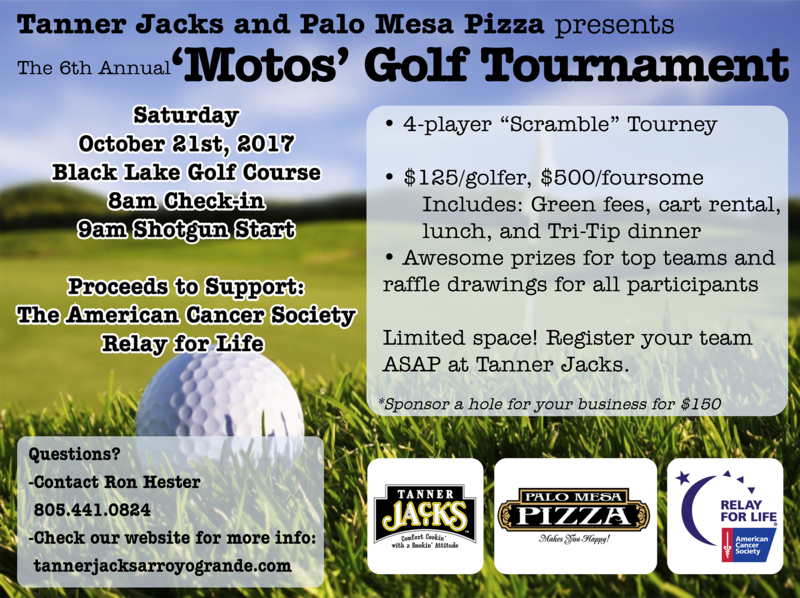 Our first pizza shop, opened in 2007, is located next to Tanner Jacks) on the Palo Mesa and serves southern Arroyo Grande. Our second pizza shop, opened in 2011, is located near Food4Less in the Rancho Shopping Center and serves northern Arroyo Grande. 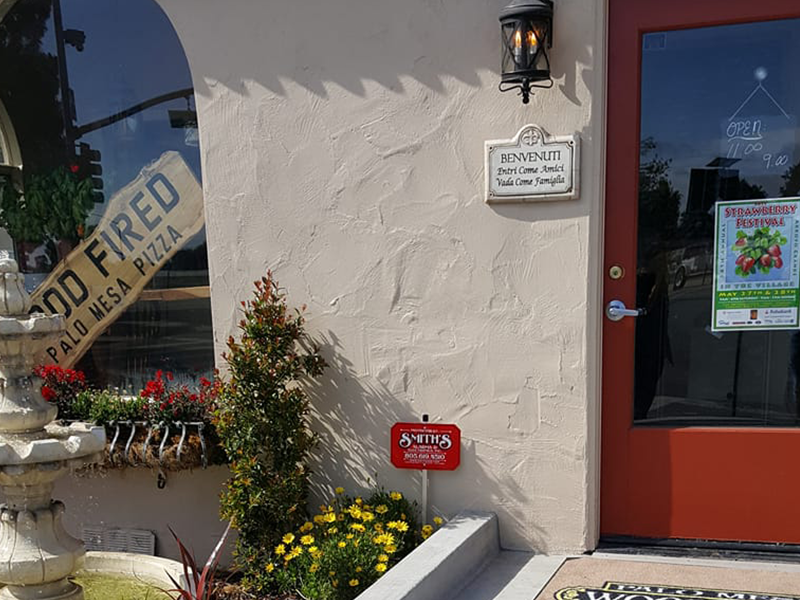 Our third pizza shop, opened in 2014, is located on South Higuera in the Tenwise Shopping Center and serves San Luis Obispo. Our fourth pizza shop, opened in 2016, has a unique menu and specializes in ‘wood fired’ pizza. Located in the Arroyo Grande Village, this location does not make deliveries. See the menu below for the all of our pizza shops except the wood fired pizza shop. View the wood fired pizza menu here. We serve amazing specialty pizzas and build your own pizzas. We also serve great appetizers, delicious pasta, awesome calzones, killer sandwiches and yummy salads. Click the image below to view the PDF version of our menu. 4-14-19 1:49 PM - We do offer delivery for our San Luis location for lunch and dinner, give us a call. (805) 784-0983. Palo Mesa Pizza makes you happy! 4-11-19 6:21 PM - American pride. 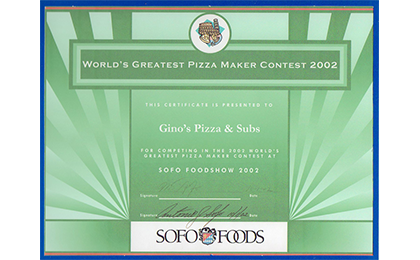 United States Pizza Team & World pizza Champions. 4-11-19 3:28 PM - Congrats to the USPT! 4-11-19 2:01 PM - Remember Tanner Jacks serves all homemade, high quality as do we! 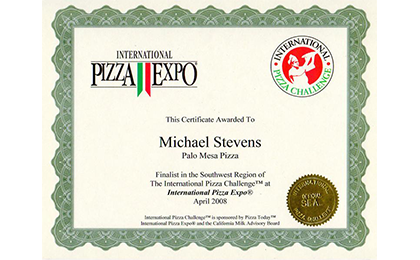 Palo Mesa Pizza was started in 2007 by Michael Stevens. Michael Stevens is a celebrated chef, known in the industry for his creative side. 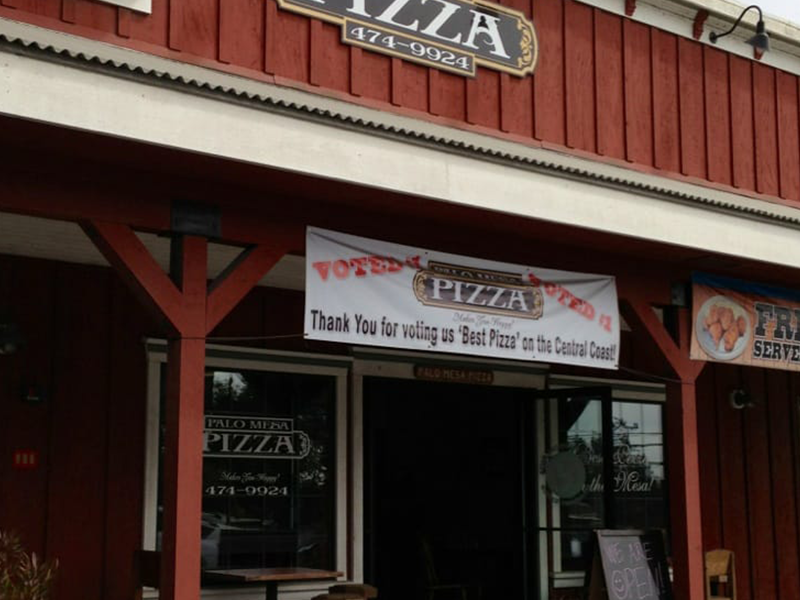 Motivated by his many awards and awesome reviews, Michael decided to open Palo Mesa Pizza and bring great pizza to the people of the Central Coast. Today Palo Mesa Pizza, with four locations to server you, is known throughout the area as the provider of the best damn pizza around. Palo Mesa Pizza also makes great appetizers, pasta, calzones, sandwiches and more. We are open for dining in, pick-up, delivery and even catering. Palo Mesa Pizza Makes You Happy! 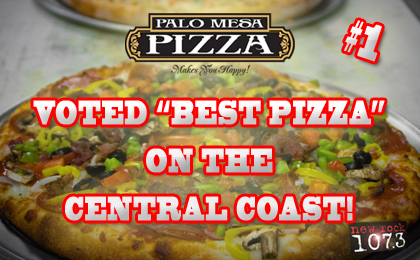 Here at Palo Mesa Pizza we are dedicated to improving our products and services.